The New England Revolution dropped another match to the fourth-seeded Columbus Crew in a 2-0 decision last Saturday night. 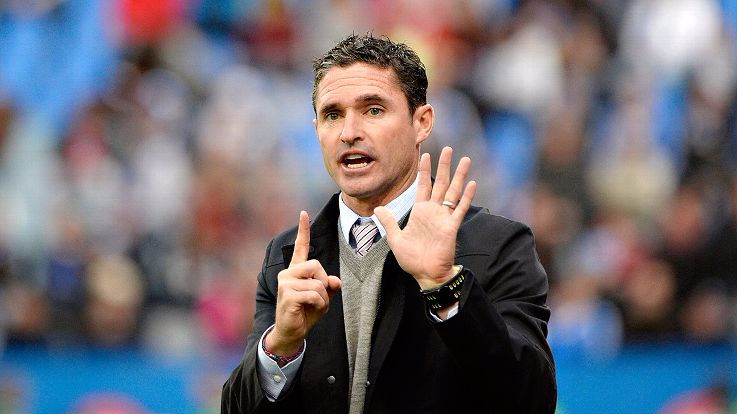 Defending has been an issue for the Revolution all season as Coach Jay Heaps has tried many different players in his back four this season. The first goal of the night came when Andrew Farrell was slow to get back on defense which left Columbus with a two on one situation attacking the left side of the field. Center back Joshua Smith was left helpless as Ola Kamara buried it top right for the 1-0 lead in the 13th minute. The second goal of the match came in the 53rd minute when the Revolution defense was literally caught sleeping. It was like watching a youth soccer game where half the team doesn’t care. The play started with a through ball into the attacking third for for Kamara who was one on one with Smith until he found a trailing Federico Higuain completely unattended for who one timed it into the back of the net for a great finish and a 2-0 lead. The laziness of the back four was a problem in this one as this goal could have been prevented if Antonio Delamea had stepped to Higuain, or if Xavier Kouassi had tracked back and marked him. Instead the two players just watched as he drifted into the box for a nice finish. On the offensive side of the ball the Revolution had their chances. Diego Fagundez and Lee Nguyen both had a few great opportunities where they just couldn’t beat Crew goalkeeper Zack Steffen. The Revolution even outshot Columbus 18 to 12 on the evening. The major shocker so far this season is that Diego Fagundez has not been as productive as he has been in the past. Without a single goal in this years campaign the star winger for New England has not been in top form. He now leads his team in shots with 21, but has nothing to show for it. I believe that the winger will find his form, but for this team to start winning games he will have to find the back of the net. Fagundez does have three assists on the season so he has not been completely useless, but will need to show he can still score goals to remain in the starting XI. Next up for the Revolution is Real Salt Lake who is currently in 10th place in the Western Conference of the League. This matchup is big for the Revolution not only to see where they stand in the table this year, but also to hopefully gain some confidence back. Forward Yura Movsisyan has been the go to guy up top for Real as they hope to bounce back from a three game losing streak. Kickoff will be held at Gillette Stadium at 7:30 on Saturday.